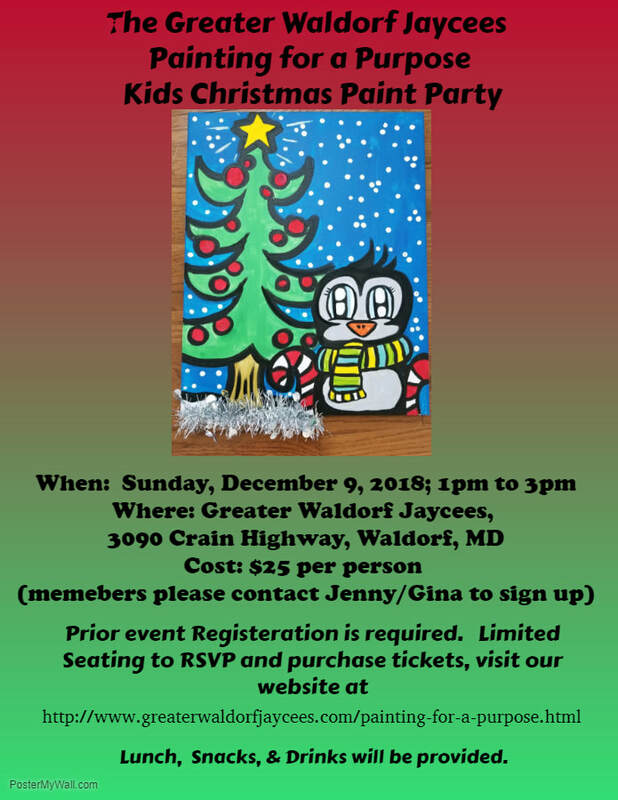 December 9, 2018, 1:00 PM at the Waldorf Jaycees Center will be the next Painting For A Purpose. Seats are limited to 45. Lunch will be served and is included in the $25 ticket cost.